That remained the truth until one day someone exercised poor judgment and asked me to talk in church. I designed my whole talk around that story, emphasizing some point no one who was there remembers today. They still remember the story, though. A few years back I got hooked on podcasts, so much so that I decided to try my hand at doing one myself. I had another story I was working on, but didn’t like how it was turning out. I was commenting on recent news, but not really offering anything new. So I went back to “Jane,” led off the entire operation with that story. It’s the one people still talk about most. Among other podcasts I enjoyed the most were “This American Life,” “The Tobolowsky Files,” “Snap Judgment,” to some degree “The Vinyl Cafe” and finally “The Moth.” It’s that last show I probably enjoyed the most, because of the live storytelling. Within the past few years a former coworker and I began talking about having our own storytelling night here locally. I never quite knew how to make it happen or where to begin. Neither did she, so we let it sit. Not really killing it, but that’s my story. 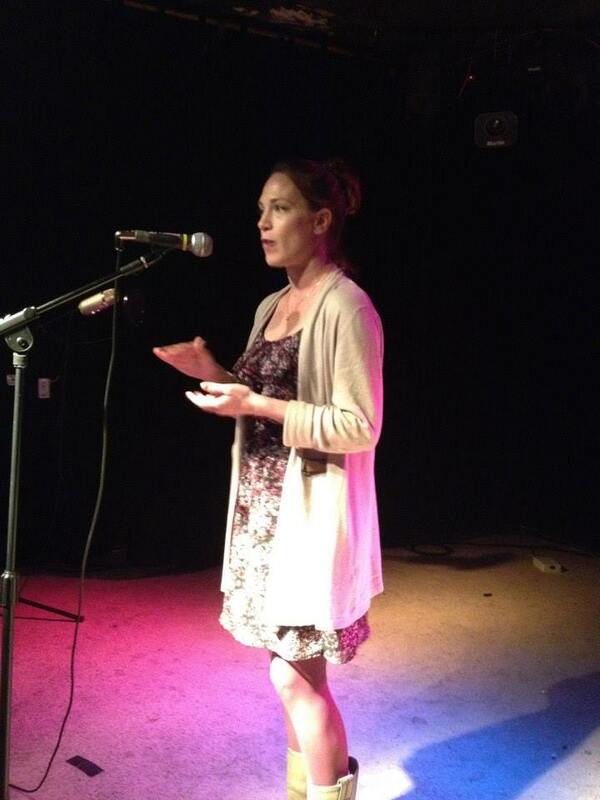 Then the Field’s End literary organization decided to do “Story Slams” on Bainbridge Island. In case you don’t know what a “Story Slam” is, it’s essentially a competition where people get up and tell five-minute, true stories. The Moth uses the term and so does Field’s End and other organizations. I don’t know who invented the term, but it looks like no one has trademarked it. I attended and participated in three slams on Bainbridge and had a great time. I learned a lot from telling my story and hearing others. In mid 2014 Josh Farley, who has been hosting the monthly Kitsap Quiz Night event in Manette for a few years, finally pinned me down and got me committed to hosting a night of our own. In October 2014 we hosted the first one with nine storytellers. The second one in December only had five, but it was around then that I began speaking with Sarah Jaffa at Kitsap Regional Library. We did one more at the Manette Saloon, but in March 2015 we launched at the Cloverleaf Sports Bar and Grill in East Bremerton with the backing of the library. Since then we’ve made subtle changes, but the basic formula is the same. So, why storytelling? I’ve been telling people for years that it’s probably one of the earliest forms of entertainment in the history of humans. Secondly, if the conspiracy theorists are correct and one day all the power shuts down, then much of our entertainment will be what we can do in person, like sing or dance around the campfire. Storytelling will also be a big part of the mix. Finally, it’s fun. You shouldn’t miss it. Things have gone well enough and long enough that in February of 2017 I finally decided that this thing was going to last, so it made sense to make it a non-profit organization with the state of Washington. I think this thing is going to be around for a while. One day, on one of those occasions when we do it again, you might have the notion to tell a tale yourself. However it works for you, you are welcome.